While many were surprised by Tom McCarthy's win for Best Picture on Sunday night, it was actually the frontrunner early on in the Oscar season, only falling away as precursor awards went to "The Big Short" and "The Revenant" while critics embraced "Mad Max: Fury Road." The split in the awards that usually predict the Oscars may have made it difficult, but "Spotlight" always seemed like a clear choice to me given the preferential balloting system (which gives points to 2nd and 3rd place, making a divisive film like Iñárritu's a harder win in that it's more likely #1 or #8 for voters) and the SAG Ensemble Award win. Actors love movies like this that allow strong casts to do what they do best, and there are a lot of actors in the Academy. 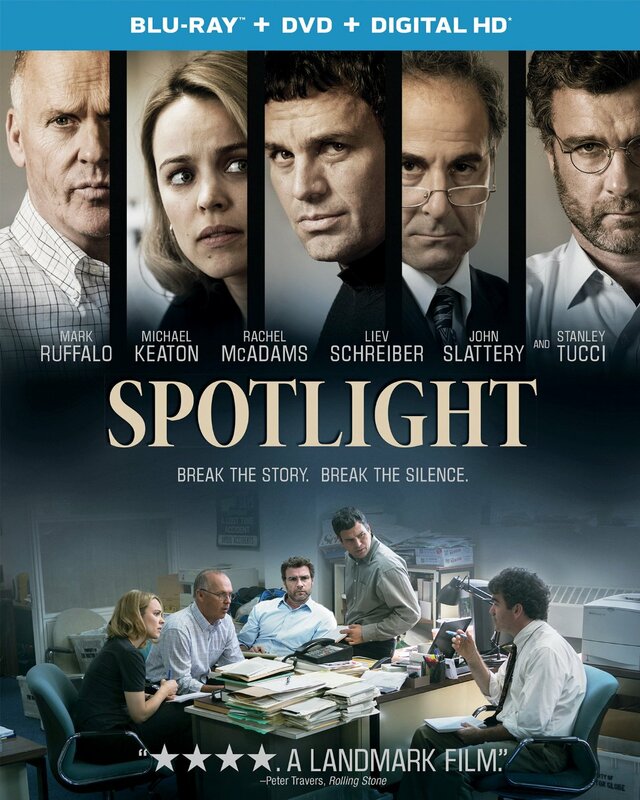 Before the backlash turns against "Spotlight," as it does every Best Picture, see this excellent drama for yourself. It is a testament to work done well, an examination of work process and justice, carried by performances that are grounded and never flashy. Is it one of the best Best Pictures of all time? No. But the Academy could have made worse choices this year, and has made worse choices recently. Part of me thinks that the team behind Tom Hooper's Oscar winner means well. A bigger part of me thinks they let down their subject matter by making a film that feels designed, more than any other this year, to win awards. The film looks great. Alicia Vikander is fantastic (although the category fraud of putting this co-leading role in supporting may never be topped). The production design, costumes, etc. are all gorgeous. But there's no beating heart here. There's no pulse. Everything feels so calculated that Vikander's true emotion stands out like a red brushstroke on a white canvas. There are just so many overplayed or underplayed moments in "The Danish Girl" when one can see the film that it could have been, even thought it almost seems afraid to go there. 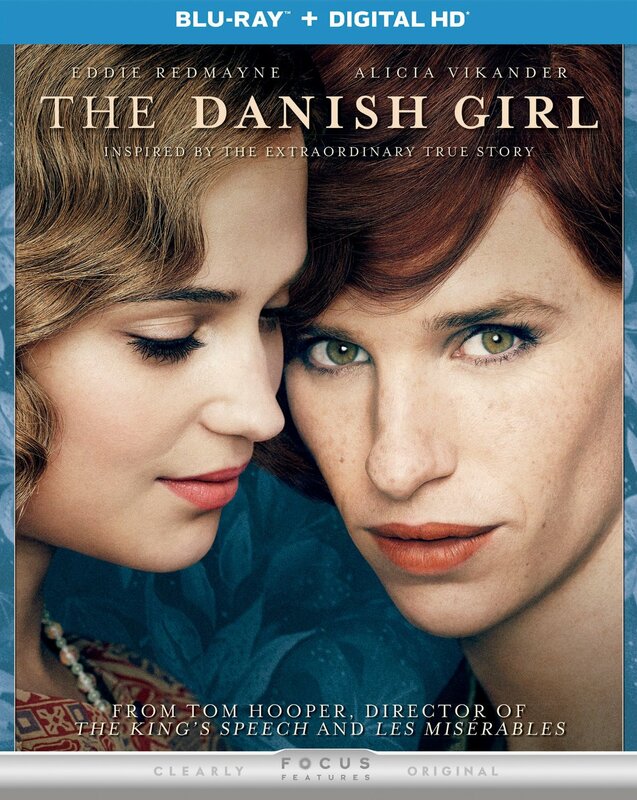 It's an important story and contains a fantastic performance, so I'm including it as a slight-maybe-just-barely recommendation, but you will be frustrated by what "The Danish Girl" is when you consider what it could have been. The Making of "The Danish Girl"
You have to wonder if the team at Criterion didn't have a conversation about doing something special for spine #800, and came to the conclusion that it was time to really induct a household name title. There are already major hits and critical darlings in the Criterion collection, including "12 Angry Men," "Nashville," and "Night of the Hunter," but "The Graduate" is one of the most beloved films of all time, one of the few films in the collection that also won the Oscar for Best Director. Mike Nichols' dramedy has faced a bit of a critical reappraisal in the last few years, and a number of colleagues have told me how they've turned against it. Even Roger reappraised the film later in life and found it to be lacking. I'm not there yet. I still love the movie, particularly its tonal balance and the way it captures not just a kid but an era on the edge of uncertainty. 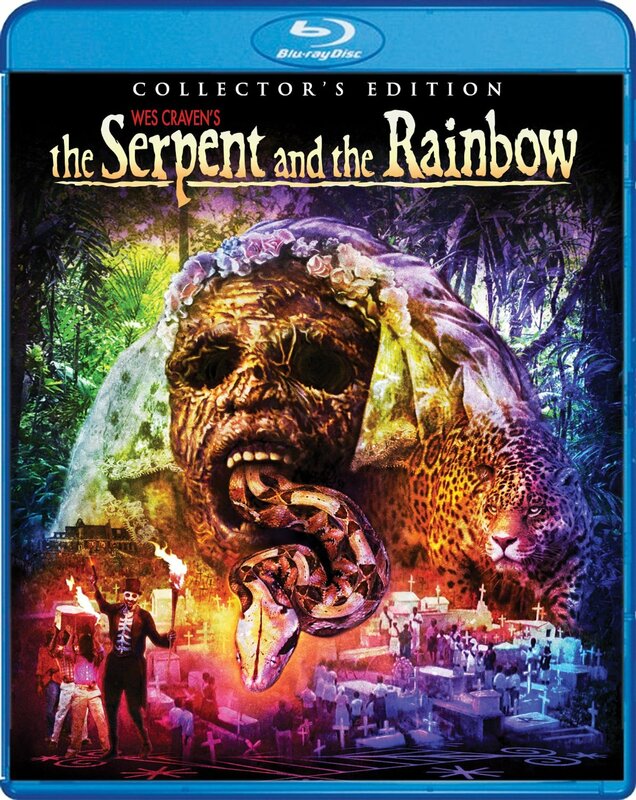 The Criterion release is a gorgeous one with a perfect restoration and an overwhelming amount of special features. 800 movies in and Criterion shows no signs of slowing down. New interview with film writer and historian Bobbie O'Steen about editor Sam O'Steen's work on "The Graduate"
A dedication to the dearly departed Wes Craven opens the restoration of his 1988 film by Scream Factory, the Criterion of horror films. Watching it for the first time in years, I was a little dejected by the first half, in which Bill Pullman's casual performance feels at odds with the intensity desired by Craven. However, the film clicks into place around the 40-minute mark and works from there out, helped by a great SF transfer that really allows the dark, mysterious color palette of the film to work. The special features are interesting. Pullman shows up on two, including a commentary that's more like an interview and only runs for the first hour of the film. More interesting is the making-of in that Wade Davis, on whose story the film was based, seems to prove that he had a different vision of it than Craven or the studio. He wanted more of a drama, even commenting that "The Year of Living Dangerously" would have been the right template. This is a TOTALLY different reading of the film and story than I have, which is that the movie as is serves to comment on American ego more than examining a unique culture. The stand-in for Davis, like so many Americans, thinks he knows it all and finds out he doesn't. Whatever you think this story means, it's a very solid release, and yet another reason to miss Mr. Craven. If "The Graduate" is Criterion going more mainstream than usual, spine #801 is a bit more obscure, and a great display of the balance often found in the collection. Antonio Pietrangeli's drama is somewhat familiar in that it's another '60s look at the emptiness of a society obsessed with looks and fame, but it's not as much of a household name as works by Godard or the rest of the New Wave obsessed with similar subject matter. This lost classic even had a theatrical release in New York recently as the great Janus Films tried to bring a 50-year-old film to a wider audience. Criterion is at an interesting point in their existence, facing more criticism than usual about its lack of diversity and predictable induction pattern. "I Knew Her Well" is a film that I hadn't heard of until the Janus re-release and the Criterion issue, and I'm hopeful that Criterion will continue to look deeper into the canon for these kind of releases. We love "The Graduate," but tell us why we should love films like "I Knew Her Well." While this is undeniably a manipulative melodrama, I kind of have enough of a blindspot for Toni Collette that you can pretty much expect any movie she's in to make this column. Everyone has their favorites, and I find that Collette has made literally every film she's been in better. She brings gravity to even an airy, "Beaches" rip-off like this one that examines female friendship, motherhood and death. She's great here, yet again, and pretty well matched by Drew Barrymore as her BFF. Do you "need" to see "Miss You Already"? No, but it's a perfectly fine rental if you want a good cry and a reminder that Toni Collette needs to be in more movies. With Love: Making "Miss You Already"
Look at the three Oscar winners on the cover of that Blu-ray. Wondering how this one wasn't a part of this year's award season or how you missed it during its lightning-quick theatrical release? (It only made $20 million, opening in 5th place). Maybe you've seen the award-winning original from only eight years ago and know the answers. 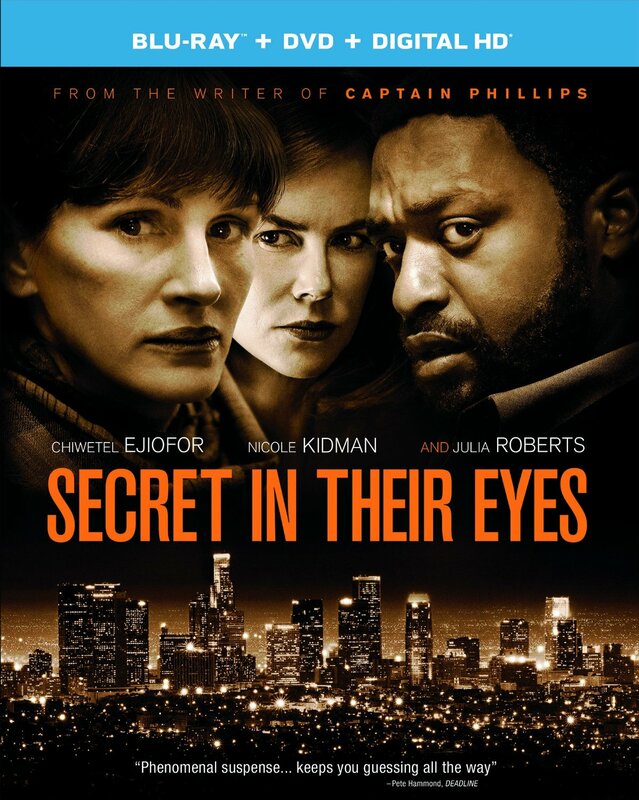 While "The Secret in Their Eyes" was a fantastic thriller, it never called out for a remake, and Billy Ray's film not only fails to justify its existence, it smooths out all the edges of the original into a dull, flat experience. Sure, the story of a cop obsessed with finding the murderer of his partner's daughter has inherent power and the Ejiofor sometimes finds the heat missing from this version of the story, but this is a stunningly dull film given its storyline. It's almost as if Ray didn't understand what made the original work. There are twists and secrets in these eyes, but no passion. I'm going to make an effort to devote a spot in each HECG to a truly under-the-radar that you probably haven't heard of before. 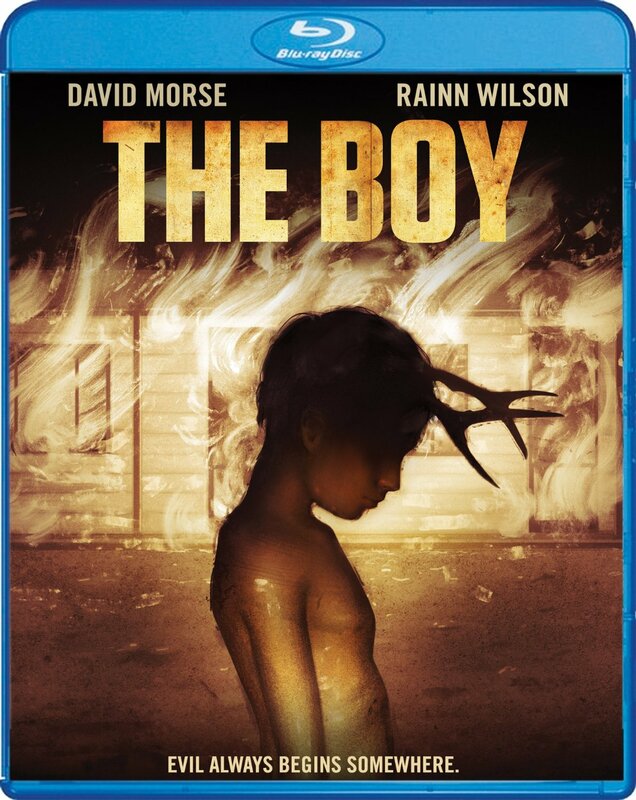 This week's is the slow-burn, creation-of-a-killer story of "The Boy." At a decrepit, vacant motel in the middle of nowhere, a kid develops some, shall we say, disturbing tendencies, partially due to sheer boredome, and partially because he's clearly psychotic. We meet him peeling roadkill from the pavement in front of the motel. Pretty soon, he's actually baiting the road, leaving food down the middle line so animals will get smashed. When a traveler (Rainn Wilson) hits a deer who take the bait, things get even stranger. It's an undeniably slow burn, especially since we know there's no movie if the young man doesn't eventually turn into Norman Bates, but the movie has a delicate understanding of how easily evil can manifest itself when there's nothing to stop it. And it's a quirky, odd horror movie that uses "Nothing's Gonna Stop Us Now" and "I Hate Myself For Loving You" by Joan Jett in its final act. This is definitely worth a look. In Two Weeks: "The Big Short," "Carol," "Creed," "The Manchurian Candidate" on Criterion, and more!